Elettronica GmbH develops different solutions for the missions. ESM (Electronic support measures), ELINT (Electronic Intelligence) and C-ECM (Electronic Counter-measures) fit the surveillance, reconnaissance and counter measure purposes. Our systems are platform independent. In the past ELETTRONICA fulfilled successfully several integration tasks for different basis platforms, vehicles and shelter, especially in the area of EW ground based systems. Antennae masts, retractable frame, etc. Shelter based solutions for ELINT like R11 and Communication Jammer like HF-Jammer Hornisse as well as integration of Communication Surveillance and direction finding. Our expertise in this field ranges from small potables cases via FM Shelters ( FM I / FM II ) up to 20 ft / 40 ft standard container solutions. Concepts and integration of electronic and electrical solutions, communication networks and air condition as well as mechanical adaptations is the core of our business. 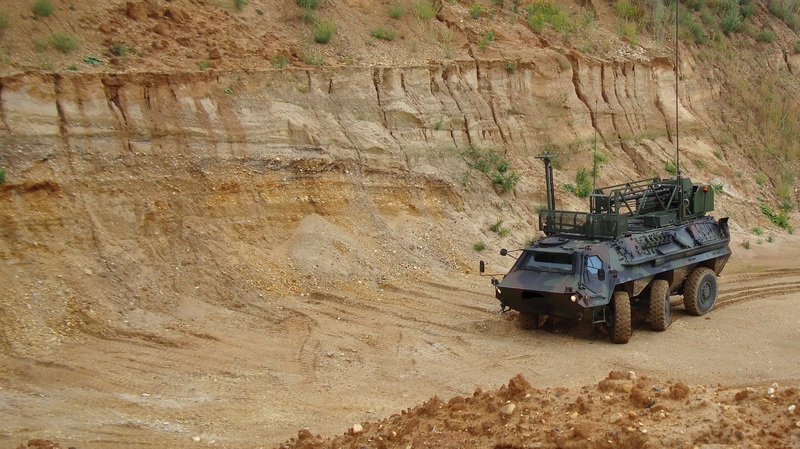 Also vehicle based military integration is covered by our experienced engineers for armored and mine protected vehicles like the TPz Fuchs or YAK. The upgrades of the RMB and the integration into the TPz Fuchs as well as the upgrade of the HF Communication Jammer Hornisse was realized by ELETTRONICA. ELETTRONICA offers tailored integration solution regarding sesnsor suites, weight, power consumption, available dimensions, internal and external communication interfaces, antenna placement and evaluation of unintended emitting of RF-Sources. We offer detailed integration concepts, realization together with vehicle manufactures and service support for maintenance and upgrades.